Several weeks ago I decided that I needed a little knitting project to take away on holiday. A simple vanilla sock project would be small enough but I didn’t want to have to worry about doing a heel flap or gusset. 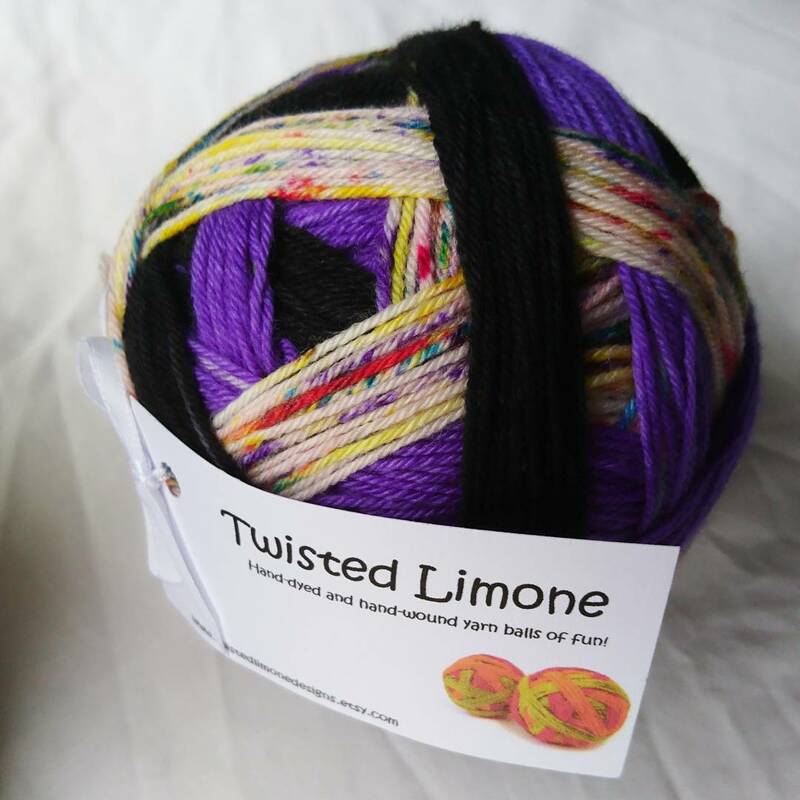 I had bought a gorgeous self striping ball of yarn from Twisted Limone on Etsy in the colourway Midnight Rainbow. 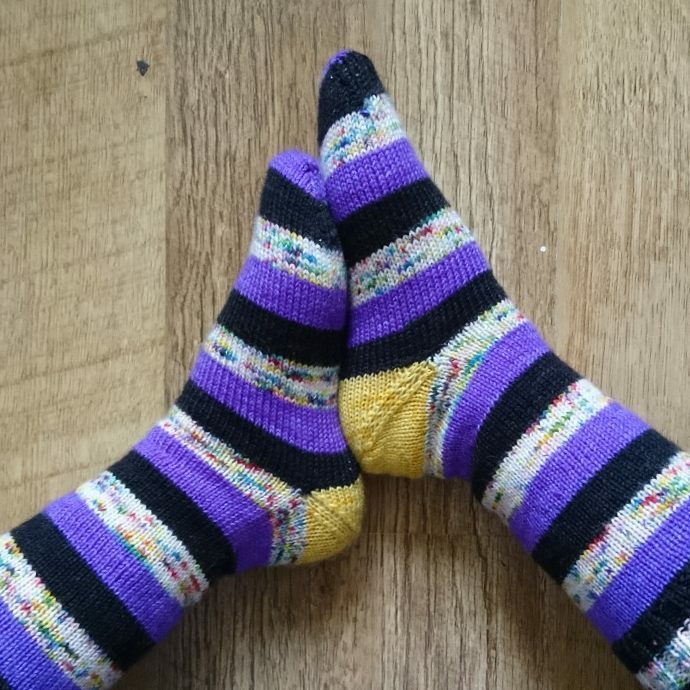 After looking on Instagram I noticed that quite a few stripey socks were knitted up with afterthought heels. 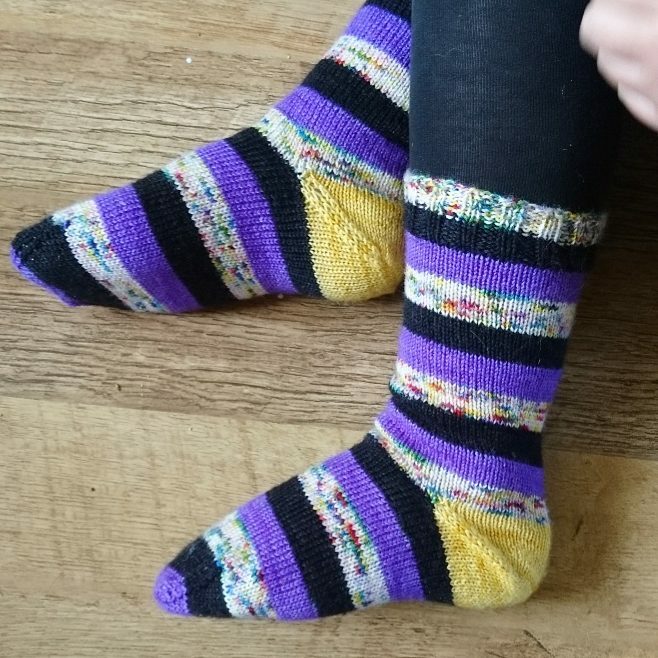 For those who don’t know, an afterthought heel involves knitting up a tube sock and then cutting into the finished sock to insert a heel (which is effectively another toe in shape) which doesn’t disrupt the even pattern of the stripes. I looked online for a tutorial to show me how to do this step by step and I found an afterthought heel tutorial by Louise Tilbrook on her blog. 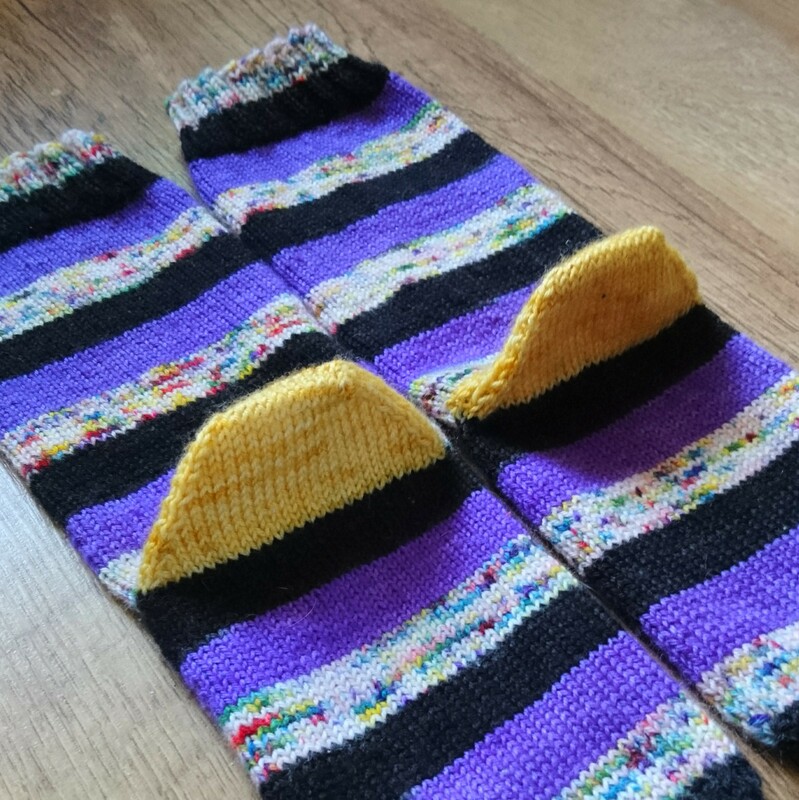 I knitted up both my socks first before I tackled the afterthought heel ‘of doom’ (scary biccies… I mean who wants to cut into their knitting. 😰 ) . 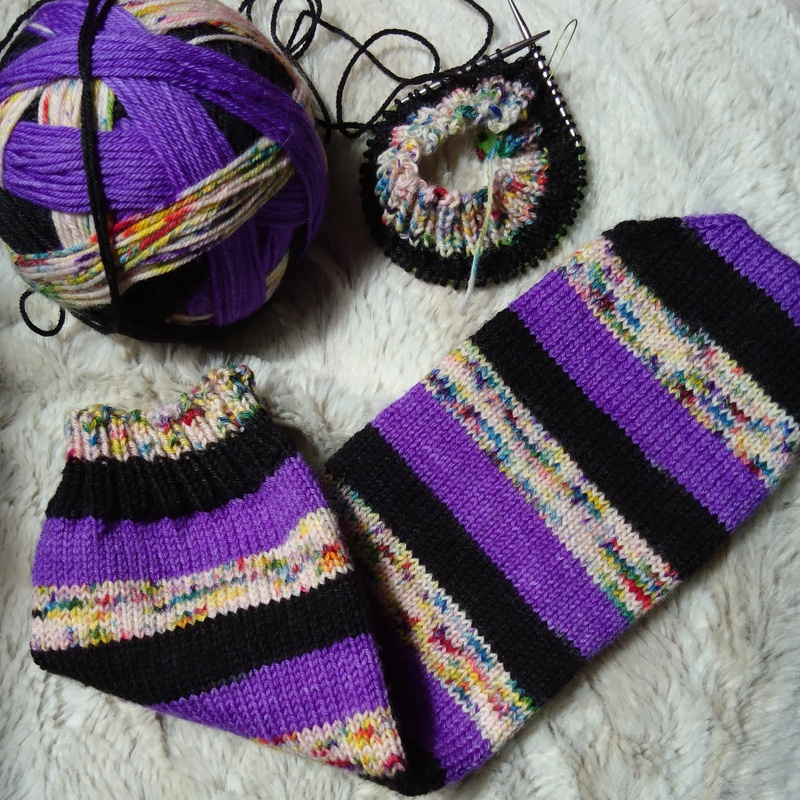 They worked up quite quickly, probably due to me wanting to knit ‘just one more stripe’. 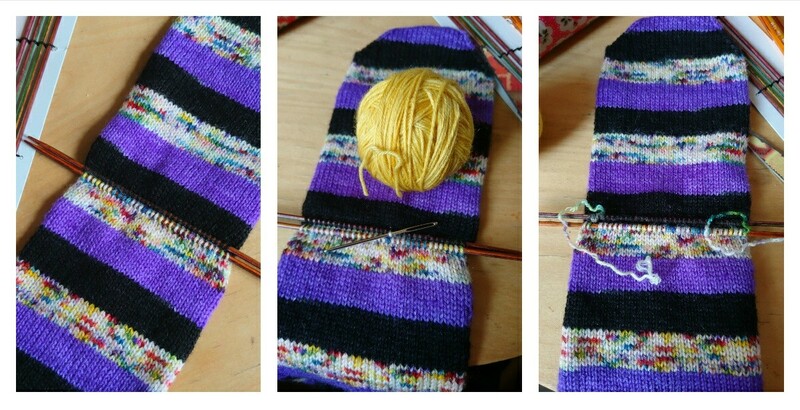 I selected a contrasting yellow wool (from Green Elephant Yarns) for the heel, to mirror the yellow in the speckled stripes. Once completed I took the steps as outlined in the tutorial: pick up stitches, select which stitch to snip and unravel the stitches. Once I unravelled the yarn it was relatively simple to attach the new yarn and knit up the heels. Look, see my lovely heels! My daughter claimed these socks as I was knitting them, despite me buying the yarn for myself. 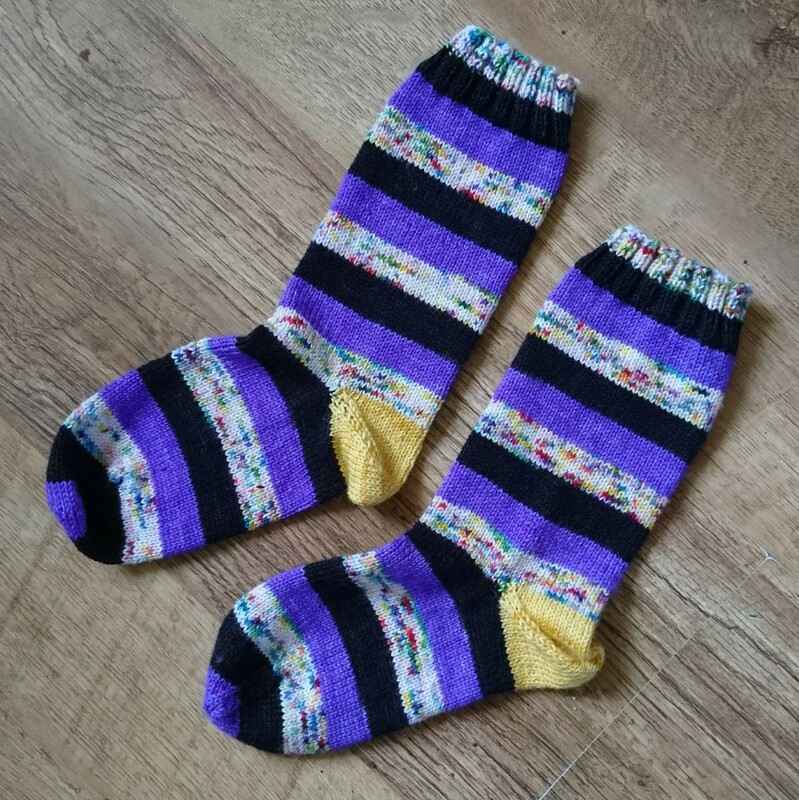 First ever pair of afterthought heel socks – done! Another knitting goal met. I talk about these socks, the pros and cons of afterthought heels and other WIP’s in episode 2 of my podcast, you can find it here. If you enjoy watching it then please subscribe to my channel Jean the Creative Pixie where you will be notified of new videos when I upload them. Very lovely socks 🙂 I tend to knit a row(half a round) in a contrast yarn so I don’t have to cut the yarn and have it all unravel on me! Thanks. I saw that method using waste yarn but I wanted to do a true afterthought while I was away from home. Yes I did have to read up a couple of different tutorials just to be sure I was following a correct method. Oh my gosh! Your socks look perfect! I have not heard of the “cutting method” and I would have never tried myself. I totally would have botched it. You did a great job and I applaud you for taking that plunge and cutting your knitting. You are awesome! Aww thank you. I’m deliberately trying a lot of new techniques with my knitting and it’s actually really good to achieve these new goals, I recommend doing it yourself. Oh, Jean, I haven’t been by your blog in such a long time for so many reasons – none are about you. I love these socks!! You are so creative, and I must come back more often. I thought I followed you, but I haven’t been getting emails, so I’ll check to make sure. if I’m signed up or not, I will do it now. Then, I’m going to hop around and look at some more of your sweet items. Thank you for stopping by Leisure Lane. I hope to see you again soon. Have a wonderful night! !